At Tropic Water we are asked repeatedly why our water tastes better than the rest. Our answer: it’s the purity of the water and the addition of ozone. It simply tastes better. Tropic Water’s purification process includes a multi-stage system, made up of: Sediment Filtration, Carbon Filtration, Ultraviolet Light Disinfection, Reverse Osmosis Membranes, Carbon Polishing Filters and Ozone Injection. 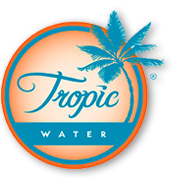 Tropic Water is tested on an ongoing basis during the bottling process. 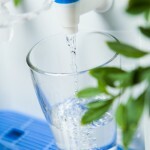 Tropic Water is ultra-pure and tests out less than 2 ppm of total dissolved solids. We believe that the purest water tastes the best. Tropic Water bottled water delivery can be scheduled in multiple ways: Weekly, Every 2 Week, Every 4 Week or Will Call basis. Tropic Water delivery drivers are always available to assist with bottles when they can. It’s simple – drink more water and less sweetened drinks. Tropic Water tastes great, therefore you’ll want to drink more and stay hydrated. Tropic Water utilizes both Ultraviolet (UV) and Ozone to ensure a safe, high quality, good tasting product. Tropic Water is tested on an on-going basis within our facility; in addition we perform weekly and annual third part tests with multiple State Certified labs.